A time being is someone who lives in time, and that means you, and me, and every one of us who is, or was, or ever will be. In Tokyo, sixteen-year-old Nao has decided there's only one escape from her aching loneliness and her classmates' bullying. But before she ends it all, Nao plans to document the life of her great-grandmother, a Buddhist nun who's lived more than a century. A diary is Nao's only solace-and it will touch lives in ways she can scarcely imagine. Across the Pacific, we meet Ruth, a novelist living on a remote island who discovers a collection of artifacts washed ashore in a Hello Kitty lunchbox-possibly debris from the devastating 2011 tsunami. As the mystery of its contents unfolds, Ruth is pulled into the past, into Nao's drama and unknown fate, and forward into her own future. 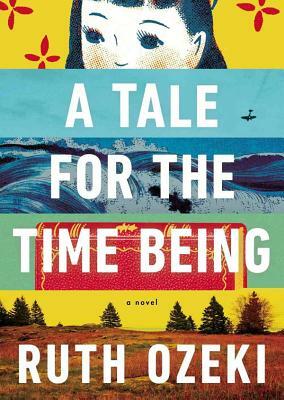 Full of Ozeki's signature humor and deeply engaged with the relationship between writer and reader, past and present, fact and fiction, quantum physics, history, and myth, A Tale for the Time Being is a brilliantly inventive, beguiling story of our shared humanity and the search for home.